Everywhere you look, there’s a sea of neutral kitchen design. But neutral, you’re not. 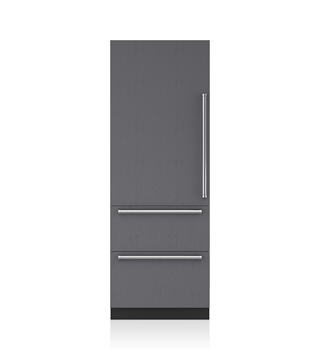 You’re vibrant, outgoing, and you want the design and performance of your kitchen to measure up. So express yourself with the almost infinitely customizable products of Sub-Zero and Wolf. High-gloss brights, luxe metallics, touch me textures – whatever you can imagine, we can help you achieve. 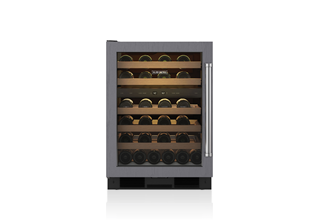 Sub-Zero wine storage makes sure the flavors and aromas of your wines are perfectly preserved, with superior features that protect against heat, humidity, light and vibration. And it’s part of our panel-ready Integrated line of products, so keeping your Burgundy close at hand won’t detract from the bold beauty of your kitchen. The Wolf sealed burner gas rangetop has such precision, such high-end power and low-end finesse, that you’ll savour delicious results from even your most daring recipes. 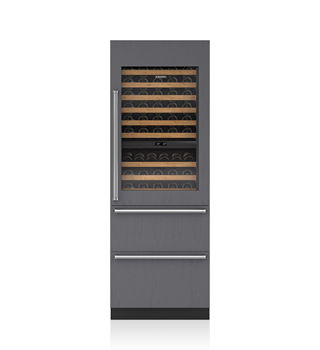 Choose a model with a French top – often called “the command center” of professional kitchens - and you’ll be able to cook with confidence and flair the kind of multi-pot dishes you’ve enjoyed in the best restaurants.